Internationally acclaimed singer-songwriter Luka Bloom will release his twelfth album, Eleven Songs, on October 10th 2008 on Big Sky Records. The album will be preceded by the lead radio single, 'I'm On Your Side'. Returning to the raw live sound of his earlier records and brimming with inspiring lyrics and sumptuous melodies, Eleven Songs reminds us why Bloom is such a master of the concert stage. The album was co-produced by Luka and David Odlum (ex-Kila and ex-The Frames) and recorded in Grouse Lodge in County Westmeath. Musicians on the album include Dave Hingerty (ex-The Frames), Trevor Hutchinson, Liam O'Maonlai (ex-Hothouse Flowers), Paul Smith, Cora Venus Lunny, Ken Edge, and the Gardiner St. Gospel Choir. Backing vocals are Sinead Martin and Robbie Moore. 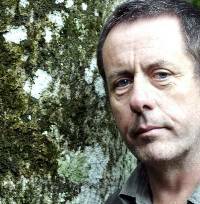 Like many Irish families Luka Bloom comes from a family of singers and songwriters and first went on tour many moons ago with older brother Christy Moore. In 1987 Luka went to the US and toured with The Pogues, The Violent Femmes, Hothouse Flowers and The Cowboy Junkies, and in all has now enjoyed eighteen years of successful worldwide tours. In 1990, Luka was signed to Warner Music in LA and over the next four years recorded three albums for them. Luka has released a further seven albums on his own label, Big Sky Records. Over the years Luka has brought his songs to clubs, theatres, festivals, bars and arenas all over the world. In the last 10 years he has concentrated in performing in Australia, Holland, Belgium and Germany. His incredibly gifted electro-acoustic guitar playing guarantees an impassioned live performance of his original, poetic and melodic songs. 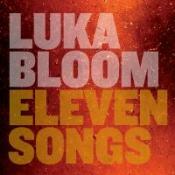 Eleven Songs, the new album from Luka Bloom, releases October 10th 2008 on Big Sky Records through RMG Chart. Internationally acclaimed singer-songwriter Luka Bloom will release his twelfth album, Eleven Songs, on October 13th 2008 on Big Sky Records. Eleven Songs, the new album from Luka Bloom, releases October 13th 2008 on Big Sky Records through Proper Music Distribution. 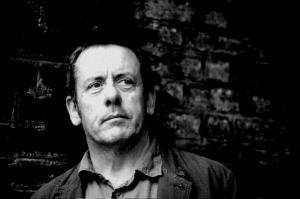 Much-loved Irish troubadour Luka Bloom announces the release of his new album Eleven Songs, out on Big Sky/Shock Records October 18. After recording his last few, slighly more experimental projects at home, Luka has returned to a top flight album in Dublin to record what could well be a career defining record. Co-produced, recorded and mixed by original Frames guitarist David Odlum, the album will be followed by extensive touring; touring which will see Luka return to Australia for shows in the first quarter of 2009. Over the last 5 years, I have written and or recorded all my records at home. 'Before Sleep Comes' and 'Innocence' were both conceived and recorded in Kildare. 'Tribe' was written between Simon O'Reilly's home and mine. And of course the dvd 'The Man Is Alive' contained a concert in my living room. November 2007 I sat down with David Odlum to discuss the 20 songs I had to consider for the next record. David had mixed 'Tribe' in Black Box in France. I loved working with him. As well as a gifted and patient and creative engineer, David has great music in him, having been The Frames guitarist for many years. I felt we could make a great record together. And I had a lot of faith in the songs we were looking at. We both agreed I needed to push the boundaries a lot more. The songs seemed to demand I move away from my comfort zone, and go to a large studio, with great musicians, where we would simply play the songs live together. Sounds obvious, but for many years I had recorded in a very safe, controlled way, wanting to always retain the feeling of my solo shows. This always meant people recording after me in the studio. We decided to make a more traditional style record; great room, great musicians and singers, old microphones. We wanted to capture an honest, and hopefully beautiful performance of the songs. I don't mind admitting that the template for the record was the sound on the Alison Krauss/Robert Plant record of 2007, Raising Sand. It seemed like a long time since I had heard such a raw, beautiful room sound. And we both thought, let's try to record the songs this way. It's a simple formula, but quite rare these days; partly because it is really expensive, compared to the laptop in the bedroom records which are so common now. So off we went to Grouse Lodge in County Westmeath, where we spent 8 fantastic days. We sang and played and laughed, and ate like kings. During that time we were joined by Dave Hingerty, drums; Trevor Hutchinson, double bass, Liam O'Maonlai and Paul Smith on pianos. Liam also played harp on one song and sang. Joe Csibi brought a string quartet from Dublin. Kenneth Edge came down with soprano sax and clarinet. Sinead Martin came and sang with me. Conor Byrne played some flute. By the time we left Grouse Lodge 20 songs became 15, and we knew we were on to something good. Over the next few weeks we added some vocals from Robbie Moore, as well as a visit to the Gospel Choir in Gardiner Street. Aoife Tunney was recorded for Everyman. Joshua Grange emailed us a pedal steel part from Los Angeles. And suddenly we were done by mid May. So off we went to Black Box again, and over 10 days, 15 songs became 11. We were done and we were, and are, very happy. Why 11 songs? Well I always seem to choose a title from a particular song. On this occasion, I felt it was important to honour the entire project, and find a name for the record that reflected the record. In 11 songs, I guess I'm asking people to take the time to hear the entire record. Obviously people will choose certain tracks to push for radio attention etc...... but for us, each of the songs is important, as is the order we chose to present them. It has been a great adventure creating 11 songs, and I couldn't love it more. Luka Bloom gehört zu den eher stillen Künstler-Persönlichkeiten im Singer/Songwriter-Circuit, die dennoch im Gedächtnis haften bleiben. Songs, die vom brillanten Gitarrenspiel des Iren ebenso leben wie von intelligenten, mal sehr persönlichen, mal politischen und Stellung beziehenden Texten, interpretiert mit seiner einzigartigen Stimme. Gerade kürte der ROLLING STONE seine im Sommer veröffentlichte Doppel-DVD 'The Man Is Alive' zur 'DVD des Monats' und lobte seinen "eindringlichen und klaren Vortrag". Projekt Nummer Sieben für SKIP RECORDS hat Luka Bloom schlicht 'Eleven Songs' betitelt, das Cover ist analog dazu extrem zurückgenommen gestaltet. Doch der Inhalt hat es wirklich in sich, denn im Gegensatz zu den letzten Alben, die der Ire gerne in seinem Studio in häuslicher Umgebung aufgenommen hat, ist er jetzt zu einem Produktionsstil zurückgekehrt, der größere Studiokapazitäten erforderte. Er, der in seinen Live-Konzerten eigentlich immer solo auftrat, wollte live im Studio mit anderen Musikern zusammenspielen und damit die Intensität und Atmosphäre seiner Songs weiter verdichten: "I needed to push the boundaries a lot more. The songs seemed to demand I move away from my comfort zone, and go to a large studio, with great musicians, where we would simply play the songs live together." Und er ist auch offen, wenn es um um die Grundidee des Albums geht: "I don't mind admitting that the template for the record was the sound on the Alison Krauss/Robert Plant record of 2007, 'Raising Sand'. This raw, beautiful room sound, great musicians and singers, old microphones." Innerhalb von acht intensiven Tagen entstand so ein Album, das allein schon in seiner Instrumentierung besticht: Streicher-Miniaturen, Gospelchöre und Pedal Steel-Gitarren unterstützen die Band und man hat durchaus den Eindruck, dass die Musiker sich gegenseitig Rückenwind verschaffen. Aus ursprünglich zwanzig Songs wurden am Ende 11: "Why 11 songs? Well I always seem to choose a title from a particular song. On this occasion, I felt it was important to honour the entire project, and find a name for the record which reflected the record. In 11 songs, I guess I'm asking the people to take the time to hear the entire record, each of the songs is important for the album."